I’m currently working on a couple of paintings Involving Joseph Smith. Its important to me that I get as accurate of a likeness as possible. 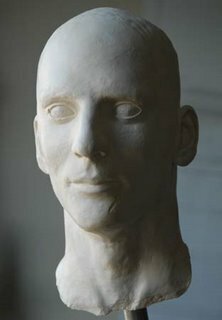 Using His death mask photos of his skull and written accounts regarding his appearance, I came up with this sculpture of his head. I left him bald because hair changes from pose to pose and covers important anatomy (ears). I will add the hair in the painting to fit the situation.